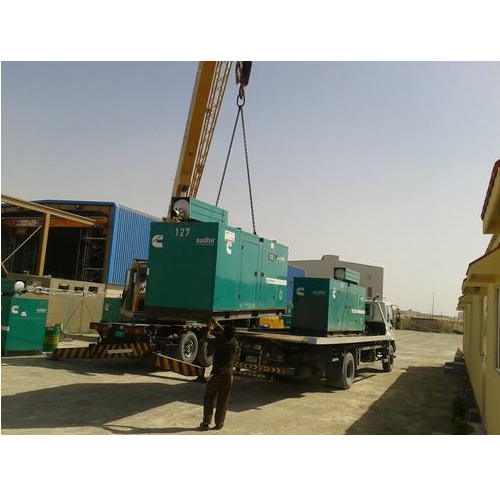 Our generators on rent can be used for Temporary, Commercial, Industrial, Institutional and Manufacturing applications. Whether, you’re dealing with an emergency or planning ahead. Low Voltage: Synchronizing panels, distribution boards, Isolator panels, Change over panels, AMF panels. Sudhir is a name synonymous with Power. An Industry leader in the field of setting up Diesel/Gas base Captive Power Plants with an installed capacity of over 40,000 MW to satisfy the demands of more than 50000 customers annualy. having its corporate office in Gurgaon & revenue of over 300 Million USD. It stands tall in the Indian Power Generation Sector, providing complete turnkey Electrical solutions from Generation, Distribution To Electrification. Founded in 1973, Sudhir Group is committed to new and innovative technology and strives to develop breakthrough products to meet the ever changing need of power industry. The Company has a wide blue-chip customer base and operates through multiple manufacturing facilities across India. The product line focuses on 7.5KVA – 3000 KVA Diesel & Gas Generators, 100 KW Solar Panels, Oil & Dry Type Transformers, HT 11KV & 33KV Panels & LT Panels, Packaged Substations and Turnkey EPC contracts covering electrical and mechanical services. Significant collaborations, technical know-how support and license agreements with selected industry giants, Schneider for Packaged Sub Stations and HT/LT switch boards have helped Sudhir to achieve unprecedented growth and become a name to reckon with. We are one of the prominent, AW Plift rental provider, suppliers and JLG distributor of Scissor lift, boomlift, aerial lifts, stockpicker, telehandler, & Telescopic lift service provider. Sudhir has also forayed into Hotel business by leveraging its relationship with Carlson group and setting up luxurious property Country Inn & Suites in the fastest growing Gurgaon city. Backed by a talent pool of experts of over 2500 employees, 8 state of art manufacturing facilities, 14 Branch offices, international presence and dedicated training & service centres, Sudhir is continuously serving the width and depth of the Indian industry with its power solutions. Indeed, Sudhir have achieved and leapfrogged towards this unprecedented growth. For us, this is just another step in our ongoing journey to greater goals and broader horizons. Plot No. 1, E. H. T. P.